UPDATE: Know the Candidates (and party affiliations) in Orange – 2014 General Election — click here! UPDATE: Orange County Democratic Party candidates for August 26, 2014 — click here! 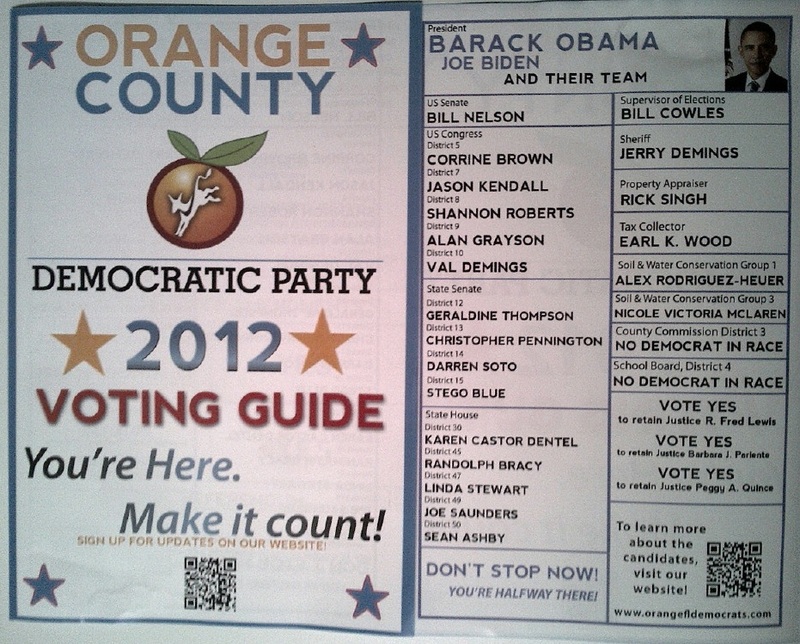 I was very excited today to pick up my first batch of the Orange County Democratic Party Voting Guide! I’ll be doing my part going door-to-door in my precinct and this is an excellent addition to the outreach efforts this year. The local party has worked hard to produce these printed materials and they will surely have an impact on the ground as everything heats up ahead of November 6th. Today was the last day to register to vote (so I hope everyone is registered) and now is the time many are figuring out their absentee ballots. Early Voting Centers will open Saturday, October 27th and close on Saturday, November 3rd and are open from 8am to 8pm. 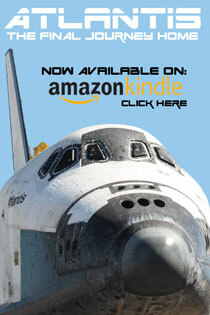 Find the location closest to you here. Orange County Supervisor of Elections will also be open on Sunday, November 4th from 10am-4pm for absentee voting only. Election Day is getting close. Remember, polls are open 7am to 7pm on November 6th. The DEC decided to leave off the write-in Democratic candidates for Clerk of Courts. Two Democrats qualified as write-in candidates. Please consider writing-in TIM ADAMS or RANDY ROSS for Orange County Clerk of Courts. State Amendments & county charter amendments are also included in the link. In short, Vote NO on all state amendments and YES on local charter amendments. 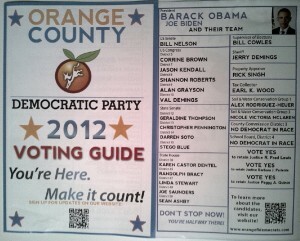 2 Responses to "Orange County Democrats’ Voting Guide"